Happy Ultimate Carpet Cleaning Customers! ​Awesome Experience! Most of the carpets in our house were cleaned by Ultimate Carpet Cleaning a few months ago. Due to remodeling and shifting of furniture to different rooms, they were willing to accommodate our schedule. They did a fantastic job; they were friendly, professional, and quick. Recently our dog spit up on our light colored carpet and we were not able to remove the stain. I called Ultimate again and they came out quickly, removed the stain, and the carpet looks new again. They do an excellent job and provide a high level of customer service. Thank YOU!! Thank you for a wonderful job in restoring our laminate floor in our entry/office area. After 7 years of heavy traffic and getting scuffed up I can’t believe how you got it to look like new. A big thank you to The Ultimate Carpet Cleaning Co. for doing a great job on our residential and commercial carpets. The carpet was dry fast and cleaned up great. We use Ultimate Carpet Cleaning for all of our church’s carpet cleaning needs — and between children and church meals, those needs can be substantial! Loren always surprises me with how thorough a job he does. I heartily recommend Ultimate Carpet Cleaning! We have used Loren’s carpet cleaning services for nearly twenty years…..thru 3 residences, several pets and accidents. We have never been disappointed and enthusiastically refer his work to others. Ultimate is all about results, customer satisfaction and flexibility. As a manager of apartments and town homes I had another very reputable company clean one unit and Ultimate clean another which was much dirtier. The unit Ultimate cleaned was visibly better and dried faster. Who wouldn't continue to use them? They sold me! Ultimate lets me know when carpets needs more attention with pet odors, stains, smells. Their thoroughness, positive attitude and professionalism makes me proud to be a member of their team. We are completely satisfied with your cleaning job on our house. We had some really bad traffic areas and they are CLEAN. There was little to no moisture in the carpet after they finished . Loren and his son are very friendly and honest about price, time and quality of their work. Loren gives a free and honest estimate before he does the job. We will definitely have them again and recommend them to anyone who wants a fantastic carpet cleaning job. Our carpets have never been cleaner. Those old pet stains actually came out and never came back! And the carpet dried really fast. Having clean carpet is a great feeling. We'll do it more often, now that we have a fantastic carpet cleaning crew to call. We highly recommend Ultimate Carpet Cleaning! ​Loren and Kendall did an amazing job on our carpet! They were able to remove a couple stains that I thought would never come out! I loved how fast the carpets dried! Also, very friendly and professional. I was very pleased with their service and I will have them come back the next time we need our carpets cleaned. I really appreciate the work you did on my carpet. It was the first time I had my carpets professionally done, but it will not be my last. You lifted the stains right out that had been there for over a year, and the carpet was ready to walk on in almost no time at all. Overall, I rate the experience as an A+. Thanks Loren, Could not believe you got the chocolate milk out! We have used Loren at Ultimate Carpet Cleaners for 15 years. We like the fact that we can trust Loren in our house while we are gone. His cleaning system is so unique and his quality of work is 2nd to none. We really like the fresh smell, the soft feel of the carpet after it has been cleaned, and especially that it doesn’t get very wet and dries fast. There are so many cleaning options out there with so many offers, but we know with Loren you will be completely satisfied at a fair price. Thank you again for your excellent cleaning service. I was so pleased with the results. It cleaned up so nice. I had some spots which I cleaned several times but they would keep coming back. I wanted to let you know that after Loren cleaned my carpet a few months ago the spots were gone and they did not come back. What is so nice about your cleaning is you can walk on it again is less than an hour. The carpet looked so bright, almost like new. Thanks again. We have had the pleasure of working with Ultimate Carpet Cleaning for several years and also referred to others. Excellent service. Very dependable and extremely competitive pricing. Loren, I wanted to let you know that Bob & I are ecstatic with our Kitchen floor. We absolutely love it, way beyond our expectations. We couldn’t wait to get home to see it and it just looks like a whole new floor. You were absolutely right. We are very, very pleased, and appreciate your hard work. 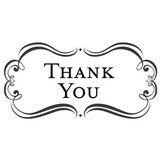 Thank you again and we will call you soon to get our carpet cleaned. I have had Loren clean my carpets for 2+ years and have been very satisfied. He has also cleaned my tile and put a finish on my hardwood floor. He is very pleasant trustworthy and calls after the cleaning to make sure I am satisfied. I have never considered using anyone else! 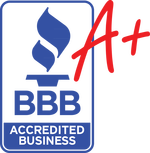 We're in this business to create happy customers through a better carpet cleaning experience. Because if you can't offer great results and service, what's the point, right? Give us a call for cleaner carpets!